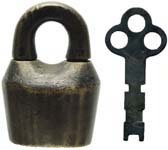 These locks were manufactured by one of the Slaymaker company names. 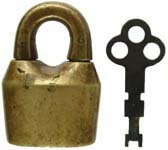 Slaymaker Scandinavian padlock patents: US Patent #386510. US Patent #418359. US Patent #465897. US Patent #488231.